Time for blogging again. Today, I shall discuss about how can we save information or graphics which are being displayed on canvas UI control to image file (I am using .PNG image file extension). This discussion is specific to Windows Store 8.1 platform application development, so, when I mean UI control (s), I mean the UI control (s) offer by Windows Store 8.1 platform. 1) Knowledge about Windows Store platform. 2) Knowledge about Asynchronous Programming. 3) Knowledge about XAML UI controls. This topic is not new, there are several threads out their that address this topic, however, working coding solution is hardly available, so, I decided to put all those discussions into action. Before I start the coding tutorial, I would like to clarify the main problem in hand. Our problem here is to convert canvas information or graphics into an image and then save that image to an image supported format e.g. png, jpg etc. 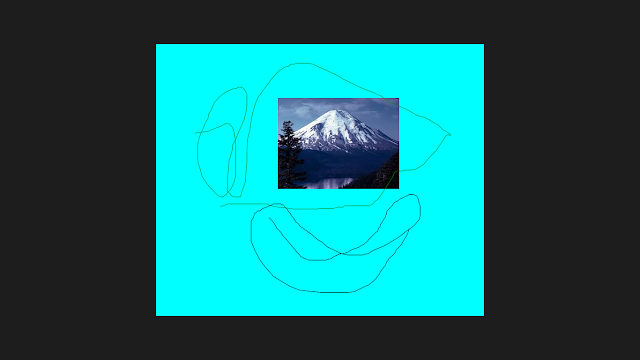 For this tutorial, I am using .PNG format. It is really important to understand the problem before jumping into proposing any solution. During the research of the solution to this problem, I have come across several threads that says to use WriteableBitmapEx library to address this problem by using Image UI control instead of using Canvas UI control. The reason is that Windows 8 does not support any class or library that can convert any XAML UI control to bitmap for saving the bitmap ultimately as image file. So, the alternates are to use image UI control instead and then automatically associate the WriteableBitmapEx library with the image UI control for manipulating the bitmap. But, phew.... with the release of windows 8.1 SDK, a class called RenderTargetBitmap is also provided that can convert any XAML UI control to bitmap, which allows the developers to be more creative with their application ideas. You can download the complete source code for this tutorial or you can follow step by step discussion below. The sample code is developed in Microsoft Visual Studio 2013 Ultimate with Windows 8.1 platform. 1) Create a windows store blank application and name it "RenderCanvasToImage". 2) Replace the existing "MainPage.xaml" with following xaml snippet. 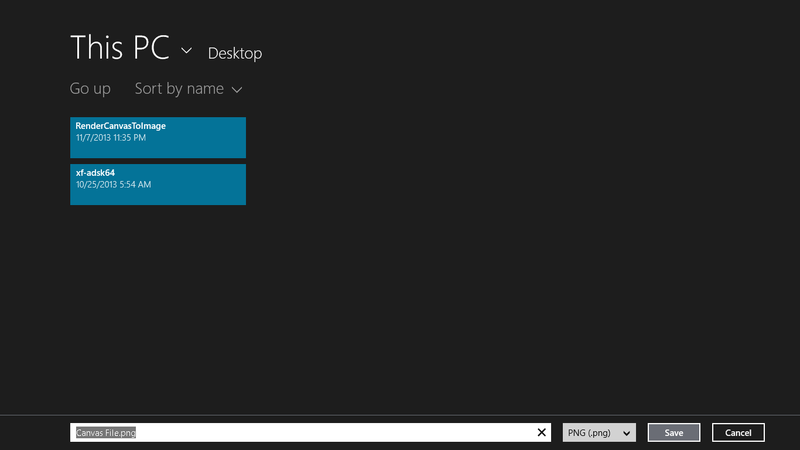 The only important thing to take care of in this XAML snippet is to fix the size of your canvas UI control, otherwise our output image content will not be arranged properly for saving to image file. Rest is just simple i.e. we have add a predefine testing image inside the canvas UI control and create bottom and top page app bars. The upper bar will allow change the color of our stroke ink and lower app bar will provide option to save the canvas into image on a desktop. 3) Go to "MainPage.xaml.cs" file and first add some setting variable for handling on screen strokes by user i.e. // Call an application-defined function to render the ink strokes. // Render a red line on the canvas as the pointer moves. // drawing a new line. // Get information about the pointer location. // Accept input only from a pen or mouse with the left button pressed. 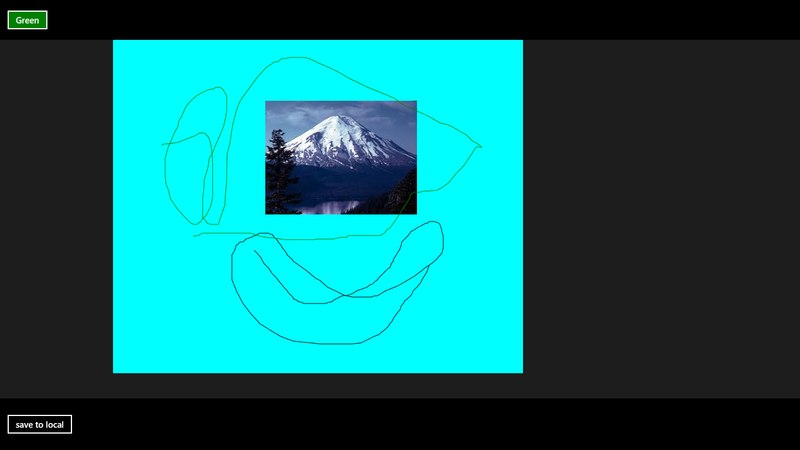 7) Execute the project and you will able to see your canvas and can add strokes on it in "black" and "green" colors. #region Save to PNG method. /// Save to PNG method. /// Canvas to BMP method. 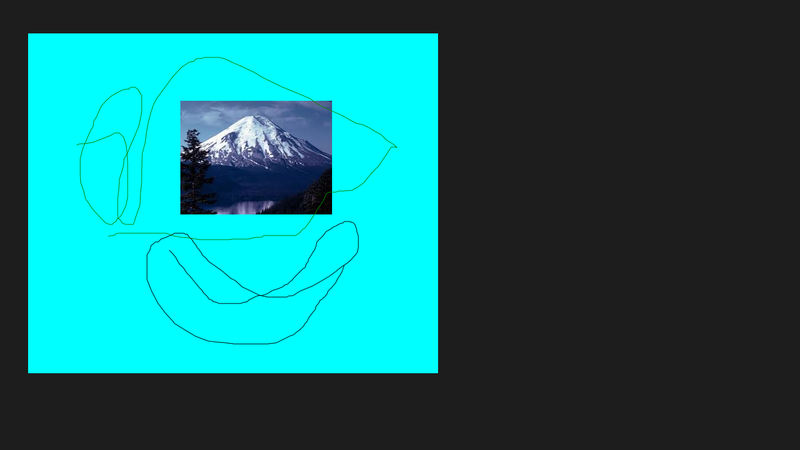 // Sezing to output image dimension. // Convert canvas to bmp. We have added following methods i.e. ShowMessage() method is for displaying any message on screen e.g. exceptions etc, CreateFile(..) method creates the target PNG format image file on desktop. SaveCanvas() is high level method that calls two very importan methods i.e. CanvasToBMP() & SaveToPNG(...) method. We have first converted our canvas UI control to bitmap by using RenderTargetBitmap class, for that, we first need to so some settings for our canvas i.e. The above lines of code in CanvasToBMP() first measure the size of the canvas that we want to render into PNG format, I have set the size to our canvas size, then we update our UI layout according to the measure size, after that, we arrange the render bounding of our canvas according to canvas origin point and canvas size, so, that all the children of the canvas are arrange properly before being converted to bitmap. Finally, we convert the canvas UI control to bitmap and by using the settings of SaveToPNG(...) method we have save our canvas UI control information or graphics into PNG image format. 9) Call "SaveCanvas()" method from within "save_to_local_Click" method. 11) Now, open the saved PNG file from the desktop and you will see that everything on your canvas UI control has been saved to the PNG image file. very interressant code. Exactly what I'm trying to do. But with WP 8.1, you cannot use "PickSaveFileAsync" in your createfile function anymore. Do you know how to work with this ? This post is for Windows Store 8.1 not Windows Phone 8.1. Windows Phone have other methods for such scenario.